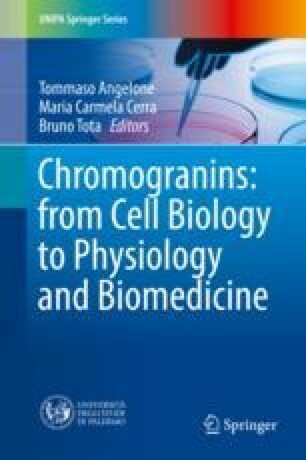 This chapter is an overview of the cardiotropic actions of the Chromogranin A-derived peptides, vasostatins and catestatin on the isolated and perfused eel (Anguilla anguilla) and frog (Rana esculenta) hearts, used as paradigms of fish and amphibian hearts. Our studies highlight important cardiotropic features of the two peptides both at basal (negative inotropism) and stimulated (anti-adrenergic effect: eel and frog; anti-endothelin action: frog) conditions. In addition, catestatin positively modulates the Frank-Starling response both in eel and frog hearts. Overall, the comparison of vasostatins and catestatin-mediated role in cardiac homeostasis of fish and amphibians illustrates aspects of uniformity and species specific differences in the mechanism of action of the peptides.